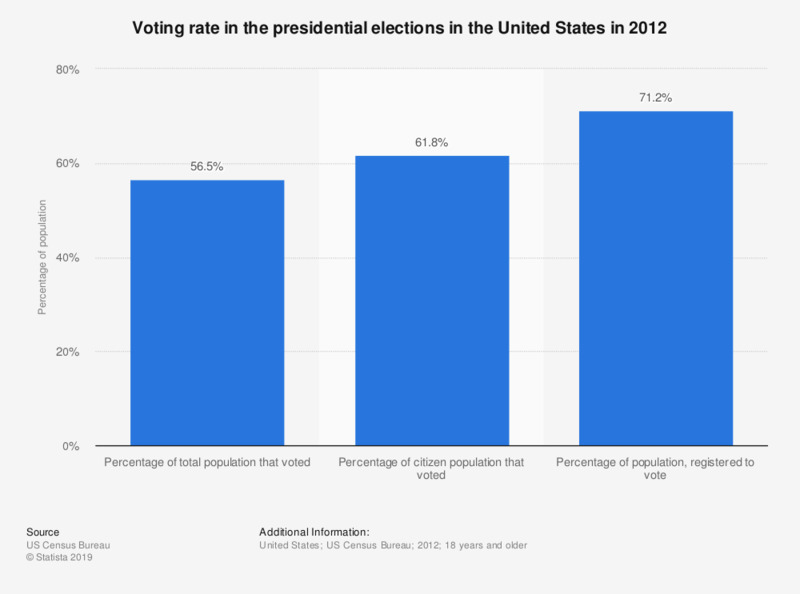 This statistic shows the voting rate in the United States in 2012. 56.5 percent of the overall population voted in the presedential elections. Everything On "United States Presidential Election Polls 2016" in One Document: Edited and Divided into Handy Chapters. Including Detailed References. Which one would you vote for in the second round of the 2018 presidential election: Sauli Niinistö or Pekka Haavisto? Which one would you vote for in the second round of the 2018 presidential election: Sauli Niinistö or Laura Huhtasaari? Which one would you vote for in the second round of the 2018 presidential election: Sauli Niinistö or Merja Kyllönen? Which one would you vote for in the second round of the 2018 presidential elections: Sauli Niinistö or Matti Vanhanen?